I have worked within the industry since 2002 and became a manager very quickly due to the passion I have for getting the job done. 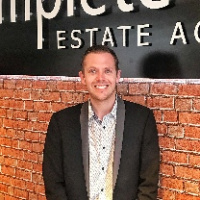 Having worked in both the lettings and sales sectors, I have gained a wealth of experience and contacts. I have also successfully passed the NFOPP Technical Award in residential lettings, which is a highly recognised qualification within the lettings industry. I have very high standards, especially when it comes to the client’s customer service, advert and marketing. My market knowledge stretches across Warwickshire with direct experience in Rugby, Leamington, Coventry and surrounding villages over these years. Originally from Coventry, I moved to Lutterworth in 2016 with my daughter. Whether it is finding the right tenant for your property, managing it in your absence or maximising the financial return when letting your property my team and I can offer a reliable and friendly service to guide you through your letting needs.